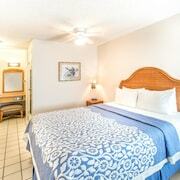 Situated in Lahaina, this beach resort is within a 15-minute walk of Kaanapali Beach and Whalers Village. Black Rock and Maui Theater are also within 3 mi (5 km). 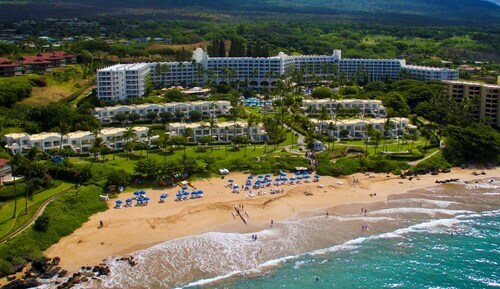 Aston Kaanapali Shores is located on Maui's sunny west shore in north Kaanapali, 4 miles from historic Lahaina and within 5 miles of the championship golf courses of Kapalua and Kaanapali. 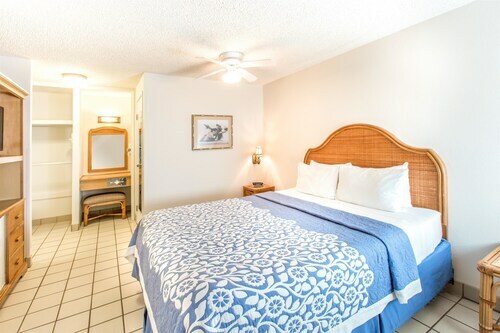 Set on a splendid stretch of sand 2 miles from Kihei, this low-rise hotel is 3 miles from the championship golf courses of Wailea Resort; Maui Ocean Center is 8 miles away. 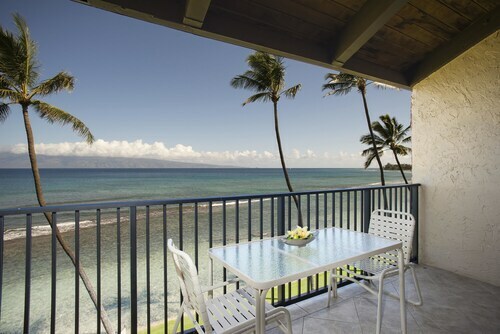 Set along a stretch of Maui's Kaanapali Beach, this value-priced oceanfront inn is 3 miles north of historical Lahaina Town. 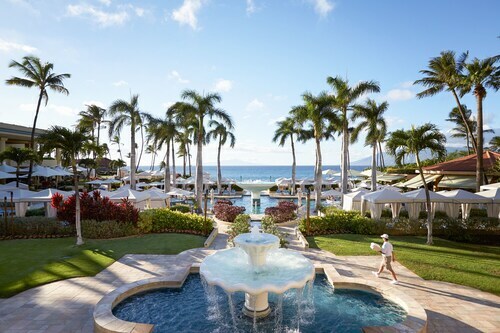 Set amid waterfall gardens, pools, and Polo Beach, this 22-acre oceanfront resort borders Wailea's 3 championship golf courses and is 1 mile (1.6 kilometers) from the upscale Shops at Wailea and 3 miles (4.8 kilometers) from Kihei Town. Located in Wailea, this beachfront resort is next to a golf course and within a 10-minute walk of Ulua Beach and Keawakapu Beach. Wailea Beach and Kamaole Beach Park 3 are also within 3 mi (5 km). 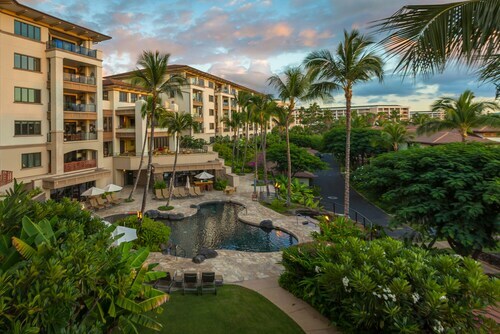 Located in Wailea, this beachfront condo resort is next to a golf course and within a 15-minute walk of Shops at Wailea, Ulua Beach, and Ulua Beach Park. Mokapu Beach and Keawakapu Beach are also within 1 mi (2 km). How Much is a Hotel Room in Maui? 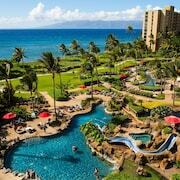 Hotels in Maui start at C$169 per night. Prices and availability subject to change. Additional terms may apply. The island of Maui is the perfect blend of beauty, mythology, and history—all set against a timeless landscape of sparkling beaches and picturesque peaks. The second-largest Island in Hawaii, Maui is home to charming villages and growing metropolitan centers, each awash with warmth and kissed with a salty sea breeze. We could sing its praises all day, but instead we’ll make way for the sound of waves crashing toward Napili Beach and birdsong in the trees at Haleakala National Park. 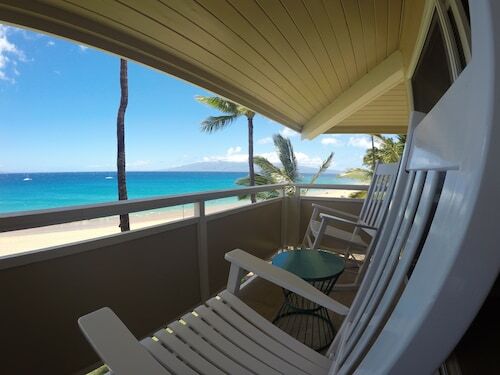 Keep reading to learn where to stay in Maui, from the stretches of sand and beloved hideaways to our most popular hotels in Maui. 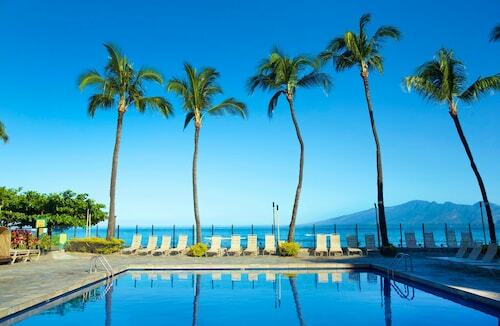 Where are the Best Places to Stay in Maui? 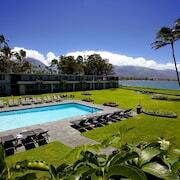 Many of the hotels near Maui’s most popular beach destinations are found on the northwestern coast of the island. With sandy beaches, mesmerizing sunsets, and tranquil waters, the shore towns along the Honoapiilani Highway are a wonderland by the sea befitting any king or queen. Sheraton Maui Resort & Spa in Lahaina: Perhaps the most famous town on the island, this onetime fishing village is now home to oceanfront eateries, contemporary art galleries, and unique, independently-owned shops. 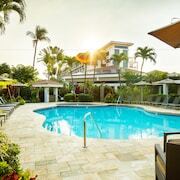 At the Sheraton Maui Resort & Spa, you can savor this embarrassment of riches and indulge in a rejuvenating massage at the spa and drinks at the hotel nightclub. 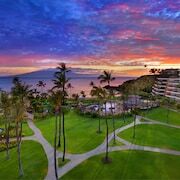 Hyatt Regency Maui Resort & Spa: Spend your mornings on the green at Kaanapali Golf Courses and your evenings at Drums of the Pacific Luau, both within walking distance to this elegant and contemporary resort. And between athletic feats and cultural experiences, you can visit the spa, doze on a private balcony, or sip a tropical cocktail at one of the poolside bars. The Ritz-Carlton: With championship golf courses, award-winning restaurants, and a leisurely pace, the Kapalua area delivers a relaxing and elegant opportunity to soothe away the stresses of life back on the mainland. The name “Kapalua” means “arms embracing the sea” and the Ritz-Carlton embraces guests with a full-service spa, six restaurants, waterfront bars, and more. The Westin Maui Resort & Spa, Ka'anapali: Also in Lahaina, high above three miles of white sand is PuuKekaa—site of the famous Black Rock ceremony, where a diver lights torches at the water’s edge before he springs into the illuminated water on the cusp of dusk. Witness this time-honored tradition from a luxury suite and take a dip in the sea or one of the five hotel pools. On the easternmost tip of the island lies the terminus of the famous Road to Hana, the path generations of Hawaiian royalty followed around the coast. The restaurants and shops in the quiet village offer the opportunity to stretch your legs and refuel before the return 52-mile trip past seemingly countless waterfalls, panoramic views, and colorful rainforests. 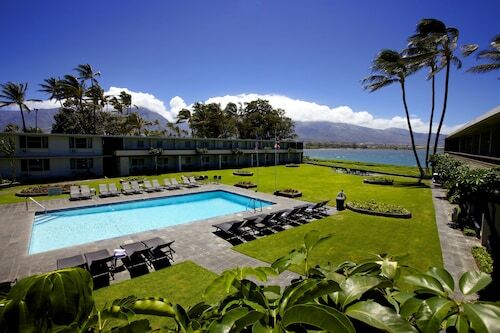 Maui hotels on this end of the island are also close to the Upcounty, where the stark peaks of Haleakala National Park give way to verdant botanical gardens, taro farms, and paniolo ranches. 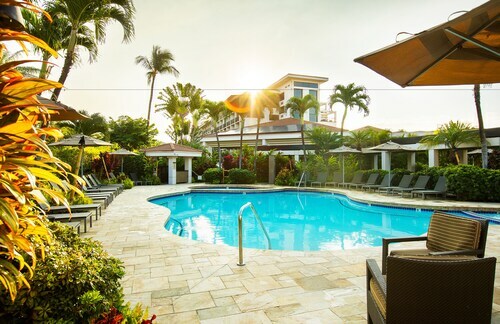 Most visitors to the Valley Isle fly to this dreamy destination, and Central Maui hotel deals are convenient for travelers who like to stay close to Kahului Airport—they’re also a short drive to all other points on the island. Nearby, you’ll find Iao Valley State Park, home to one of the island’s most distinguished natural features, the 1,200-foot tall Iao Needle—a velvety green, mantle-rock monolith that towers above the lush canyon below. South of Kahului, you’ll find Maui’s southern coast, home to manicured golf courses in Wailea, the wide, welcoming waterfront of Big Beach in Mekena Beach State Park, and expansive views of Lanai and Molokini. With Travelocity, you’ll find a wide selection of cheap hotels in Maui, luxury accommodations, and everything in between. With our price-matching guarantee, you’ll book the best price available, and embark on your own island adventures. 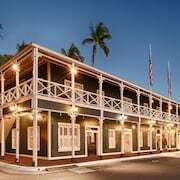 The staff was great, beds very comfortable. Wish we would have been made aware of the construction prior to booking or offered a discount room rate, a dinner credit or something for the 3 pools being closed and getting to listen to the sounds of the jack hammer. Would stay again but will be more careful going forward to see if public areas of the resort are under construction. Great pool and very close to the ocean! Beautiful rooms! 3 days ago by A verified traveller from Glendora, Ca. The website for this hotel suggested that there was a restaurant on-site. In fact, the restaurant is in the next resort (same corporation) down the beach. The activities were minimal, the pools small but well-maintained...not nearly the "wow" factor of some of the outdoor pools at other nearby spots. 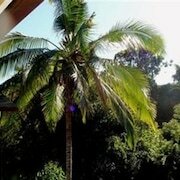 The staff were all very pleasant; Andrea at the concierge desk was very helpful. Unfortunately, the mattress in the unit we occupied was miserable. Somehow, it was a queen-sized bed (supposedly) that was too short for a 6' tall man to lie on without his feet hanging off the end. It was also broken down in the center. While the condo itself was very nice and well-equipped, it is hard to really enjoy a vacation when a good night's sleep is hard to come by. very nice condo. Resort fee too high. Parking places small. Apparently here is only 1 ice machine in the entire hotel. And the vending machine didn’t work. But other wise it was a decent hotel at A decent price.